Are you an NLP trainer, perhaps newly qualified, looking for some additional exercises or improvements on the ones you’ve got? Are you a trainer who has some familiarity with NLP and would like practical exercise instructions (with handouts where needed) so you don’t have to wade through loads of theory to pick out usable activities? Are you an NLP practitioner who wants to set up or run a session for a practice group? Then this is the only training resource you will need! This resource kit could save you days or weeks of preparation! What you won’t find is instructions for deep therapeutic changework techniques. Why? Because if you are an expert in these techniques you will know how to guide people through them already, and if you’re not an expert in these techniques, you shouldn’t be attempting to teach them to others. 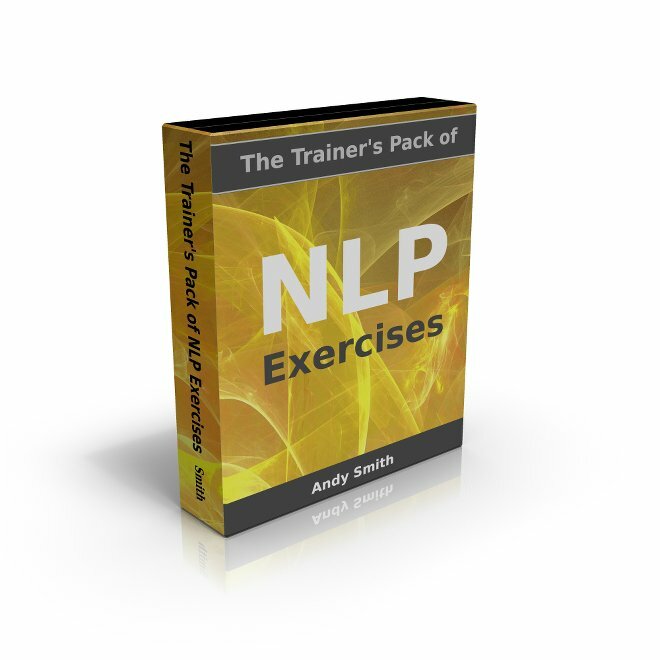 The Trainer’s Pack of NLP Exercises also includes a Word document version of the handouts to allow you to modify them, and searchable keywords to allow you to quickly find activities for workshops on particular topics such as listening skills, self-esteem or assertiveness. So if you want great exercises that are already worked out, and that will be just right for your students, buy this pack!